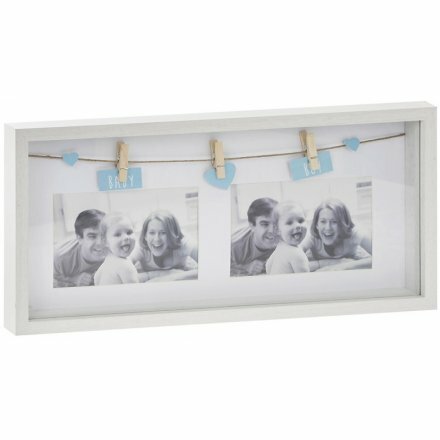 A twin photo aperture peg frame featuring a string of tiny wooden pegs in a white wooden frame. Each peg holds sweet little blue "Baby Boy" tags and hearts. Minimum order quantity 2, priced individually.